Decide what your goals and objectives are for your forestland. Get professional forestry advice that fits your goals and objectives. 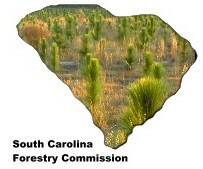 By South Carolina law, only professional foresters registered with the South Carolina Department of Labor, Licensing, and Registration and foresters under the direct supervision of registered foresters may give forest management advice such as reforestation, cultural practices or thinning and harvesting practices. Have a thorough, written contract or timber deed that spells out all the terms, agreements, payment schedules, etc. The South Carolina Forestry Commission has available sample timber sale contracts and lists of buyers for each county. Learn about South Carolina's Best Management Practices (BMPs) that describe ways to protect the site and reduce soil erosion during logging operations. Include BMPs in your timber sale contract. Landowners are ultimately responsible for voluntary BMP compliance. Monitor the cutting operations closely to make sure contract terms are followed. Have your property lines well marked and maintained. This will help prevent honest mistakes and will add to the chain of evidence if theft occurs. Know how much timber you are selling before you sign a contract! Delineate sale boundaries on the ground with paint or some other permanent marker, NOT with plastic flagging or other temporary markers that may be moved. Only deal with reputable buyers or hire a consulting forester to represent you. This person should have no conflicts that might hinder his representing your best interests. Ask for references. If your particular harvesting situation allows, require prepayment in the form of a lump sum. If yours is a pay-as-cut sale, require a regular schedule of receiving payments and scale tickets (such as weekly). Be extremely cautious about any excuse given regarding problems with payment. You have the right to shut down operations immediately if payment is not made in a timely manner. Join your local county forest landowners association and the South Carolina Forestry Association to improve your knowledge of forestry issues. 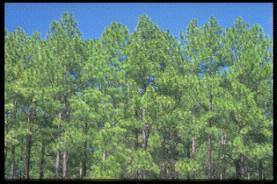 Call the South Carolina Forestry Association at (803)798-4170 for your county landowner association contact. Schedule regularly planned inspections of your property either by yourself or someone you trust. Absentee owners are especially vulnerable to timber theft. Don't be pressured! Reputable buyers don't operate this way. Remember - it's your timber. If theft occurs, report it as soon as possible to your local Forestry Commission office, your sheriff's office, or both. If an arrest is made, press charges. Professional forestry advice and assistance may be obtained from registered consulting foresters, forest industries, Clemson Extension Forestry, and the South Carolina Forestry Commission. For more information, contact your local Forestry Commission Office or email the state headquarters at (803)896-8800. Some links on this page require Adobe Acrobat Reader. If you don't have Acrobat Reader you can get it free from Adobe Systems Inc. Adobe(R) Acrobat(R) Copyright © 2010 Adobe Systems Incorporated. All Rights Reserved.